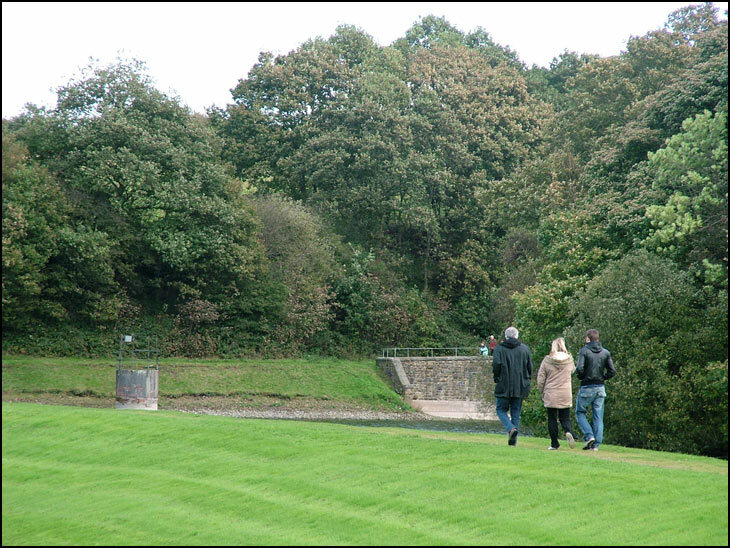 A family enjoying a stroll around Worthington Lakes on a Sunday afternoon. This photo was only taken last week and I expected the trees to be bare or at least have orange leaves - it looks like the photo was taken in summer! It's amazing what a wet summer can do to keep the foliage green. We've had a very early leaf fall in the east of the country from lack of rain this year.